is April 23rd. He is the patron saint of several countries including Catalonia in Spain, England, Portugal, Georgia, Serbia, Bulgaria, Bosnia and Herzegovina, and the Republic of Macedonia. St. George's Day in Catalonia is especially rich as it celebrates three things: St. George who fought and slayed the dragon and the day of the deaths of Miguel Cervantes and William Shakespeare (April 23, 1616). Boys and men give their girlfriends and wives roses; girls and women give their boyfriends and husbands books. 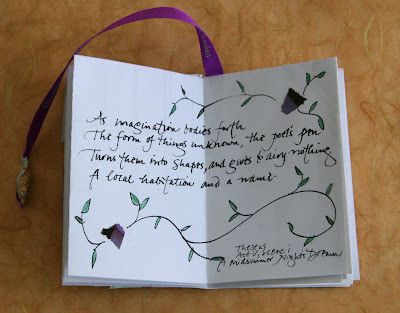 The Creative Year has a simple book project as well as directions for making a paper rose.